Enjoy a glass of wine, whilst spending time alone with your loved one, admiring the picturesque views of the countryside. 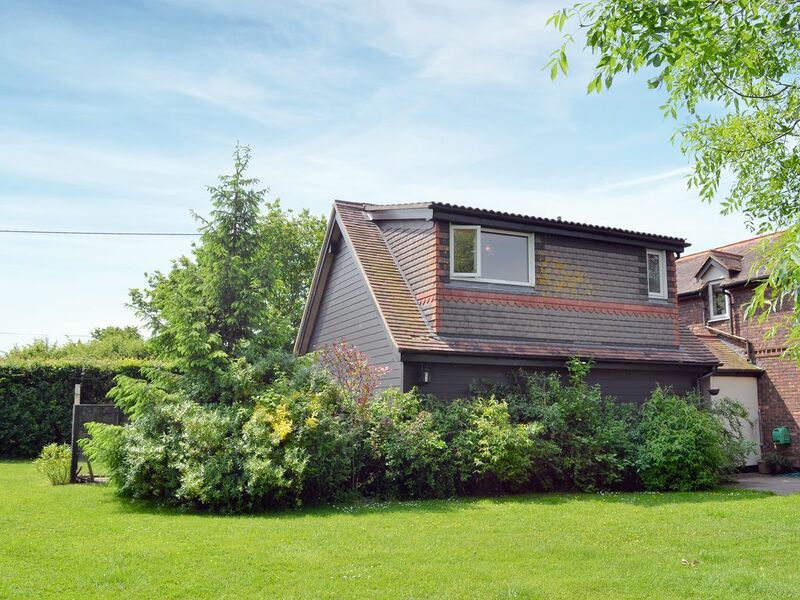 Boasting panoramic countryside views, Hillcroft is the perfect couple’s countryside retreat. Located in the quaint village of Purleigh in Essex, guests can enjoy numerous walking routes and access to the local pubs. A short drive away is the town of Maldon, which is bustling with shops, bars and restaurants making this a great location to enjoy lunch or an evening meal. Decorated and furnished to a good standard this first floor apartment consists of one double bedroom, bathroom and open plan kitchen/living room. Private parking is available at the property along with cycle storage. Guests are free to use the owners’ large garden where you will be welcomed by the owners’ dog. Garden furniture is provided to enjoy an evening glass of wine whilst gazing over the stunning countryside views. Local attractions in Purleigh include Stow Maries Great War Aerodrome, take a step back in time and visit this fascinating attraction. The town of Maldon is nearby with the Blackwater Estuary, Beeleigh Abbey and RHS Garden, Hyde Hall. There is a golf course, 2 miles, and a golf range, also 2 miles in the opposite direction. Shop ½ mile, pub 1 mile, restaurant 4 miles. Narrow stairs to the entrance. Electric central heating, electricity, bed linen, towels and Wi-Fi included. Travel cot available on request. Welcome pack. Garage with freezer. Shared large, enclosed lawned garden with sitting-out area and garden furniture. Bike store. Private parking for 1 car. No smoking. Please note: Couples, family bookings and holidaymakers only. Property located on the 1st floor. Narrow stairs to first floor. Holidaymakers, couples and family bookings only.